Columbia University Press, 9780231130905, 337pp. 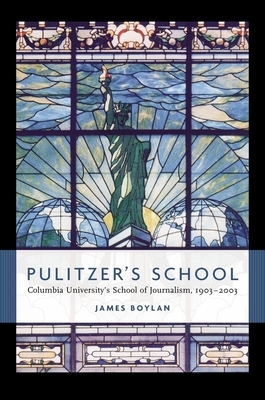 Marking the centennial of the founding of Columbia University's school of journalism, this candid history of the school's evolution is set against the backdrop of the ongoing debate over whether journalism can--or should--be taught in America's universities. Originally known as "the Pulitzer School" in honor of its chief benefactor, the newspaper magnate Joseph Pulitzer, Columbia's school of journalism has long been a significant and highly visible presence in the journalism community. But at the turn of the twentieth century, when the school was originally conceived, journalism was taught either during an apprenticeship at a newspaper office or as a vocational elective at a few state universities--no Ivy League institution had yet dared to teach a common "trade" such as journalism. It was Pulitzer's vision, and Columbia's decision to embrace and cultivate his novel idea, that would eventually help legitimize and transform the profession. Yet despite its obvious influence and prestige, the school has experienced a turbulent, even contentious history. Critics have assailed the school for being disengaged from the real world of working journalists, for being a holding tank for the mediocre and a citadel of the establishment, while supporters--with equal passion--have hailed it for upholding journalism's gold standard and for nurturing many of the profession's most successful practitioners. The debate over the school's merits and shortcomings has been strong, and at times vehement, even into the twenty-first century. In 2002, the old argument was reopened and the school found itself publicly scrutinized once again. Had it lived up to Pulitzer's original vision of a practical, uncompromising, and multifaceted education for journalists? Was its education still relevant to the needs of contemporary journalists? Yet after all the ideological arguments, and with its future still potentially in doubt, the school has remained a magnet for the ambitious and talented, an institution that provides intensive training in the skills and folkways of journalism. Granted unprecedented access to archival records, James Boylan has written the definitive account of the struggles and enduring legacy of America's premiere school of journalism. James Boylan is professor emeritus at the University of Massachusetts at Amherst, where he taught journalism and history from 1979 to 1991. He was previously a member of the journalism faculty at Columbia (1957-1979), and was the founding editor of the Columbia Journalism Review. He has also edited an anthology drawn from Pulitzer's New York World, and was a Pulitzer Prize juror.